Kaplanes, who received the Heart of Safe Kids Award from Safe Kids Alameda County, is helping AHS partner with community organizations to reduce infant mortality and promote safe sleep environments for children in Alameda County. The Safe Sleep program is a multi-agency partnership, focused on educating new parents about the basics to reduce bedtime risks to infants. Local partnerships are also focused on safely transporting children. A new state law prompted Bay Area partners to renew efforts within the Car Seat Safety Program. The programs are a continuation of AHS’s commitment to families with a focus on the most vulnerable; the children who are dependent upon their parents and guardians to make safe choices. 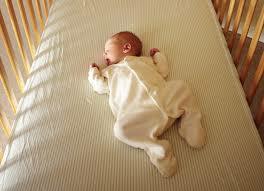 The sleep program targets conditions that led to 33 cases of Sudden Unexpected Infant Death in the past five years. Unsafe sleeping environments – such as bed-sharing, front or side sleeping and loose bedding or soft objects in the crib – were identified in 72 percent of those cases. The partnership brings together AHS, Alameda County Children and Family Services, the Alameda County Public Health Department, the Childhood Injury Prevention Network – Bay Area and UCSF Benioff Children’s Hospital Oakland. The campaign is currently featured on county buses and shelters as well as on BART platforms. AHS’s investment in community engagement for health improvement includes providing parents with a brochure with safe sleep best practices upon discharge. AHS also offers monthly car seat and infant safety classes at Highland as part of the provider’s pre-natal training program for expectant parents. · Offering a pacifier at naptime and bedtime. “I focus my classes on providing education and information; ultimately, it’s the family’s decision and actions for raising their children,” Kaplanes said. “Most families are excited and thankful for the education; sometimes they just aren’t aware of best practices or opportunities to learn through classes like those provided by AHS and others in the community. Child safety is also the focus of the car-seat safety program. Monthly classes draw attention to a state law that took effect Jan. 1 requiring children under age two to be secured in a rear-facing car seat for transport. The law seeks to mitigate trauma injuries and deaths of infants in car crashes. New parents participating in the class learn how to safely use and install car seats with real-time and video demonstrations. A grant from the American Automobile Association (AAA) provides 20-30 free car seats for AHS patients in need; seats are distributed largely based on provider referrals. Additional seats are available for $18 if the baby is delivered at AHS. Kaplanes, one of a few nationally certified Child Passenger Safety Technicians at AHS, is available to assist in the installation of safety seats. Thanks to our partnership with EMS, additional nurses will soon be certified to assist the families we serve in the installation of child passenger safety seats. AHS continues to actively engage patients and our communities in health and wellness education to reduce injuries and prevent deaths that often happen in greater proportion to vulnerable populations.